The mission of the Blue Line Ministry is to bring spiritual support and guidance to the men and women of the “Thin Blue Line” of protection to the communities they serve, and to our brothers and sisters of the Fire Department, EMS/Rescue, and other first responders. 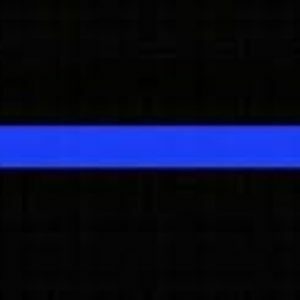 What Does The “Thin Blue Line” Mean? The use of the “Thin Blue Line” as a symbol used by law enforcement originated in the United Kingdom, and has since become commonly used in the United States and Canada to commemorate fallen police officers and to symbolize the relationship of law enforcement in the community as the protectors of fellow civilians from criminal elements. The black band above the blue line represents the public element they serve to protect, and the the bottom black band represents the evil criminal element that victimizes the public. The “Thin Blue Line” is the graphical representation of the line of protection and separation provided by law enforcement between those two negative elements. Current news relating to law enforcement. Upcoming ministry support and fundraising activities. Blue Line Ministry is offering handmade and custom Blue Line pens available for donations made to support and grown our ministry. Donations are greatly appreciated and needed so we can continue to grow this Ministry and provide assistance to police officers and first responders in need.